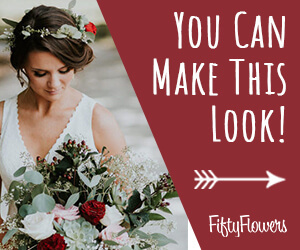 Before you order bulk wedding flowers to be delivered to your home, you need to understand how to correctly process and treat those flowers upon arrival. 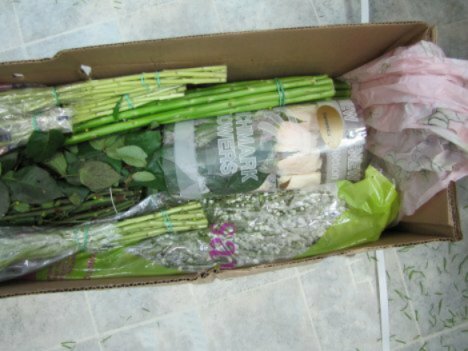 Begin by tracking the delivery and be aware of when the flowers are expected to arrive at your house. Having your work area prepared ahead of time saves precious time and creates a smooth process between delivery and design time. Plan your work space and prepare your tools ahead of time BEFORE the flowers are delivered to you. 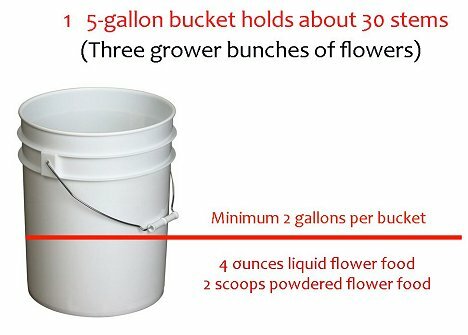 Processing flowers takes time, so have your buckets ready ahead of time. 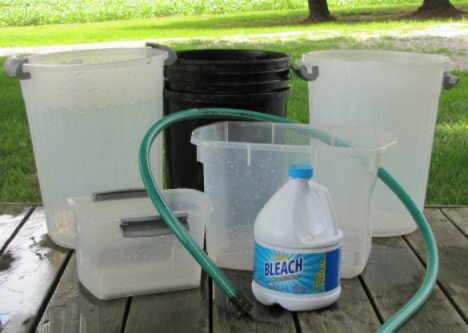 Scrub each bucket clean, rinse with water that has been treated with a cap full of bleach and allow to air dry without rinsing the bucket. 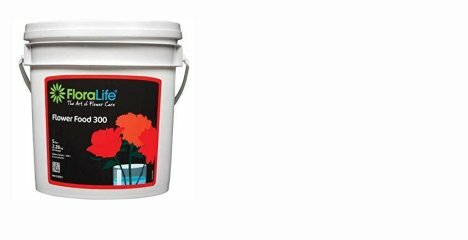 The bleach trace left in the buckets will keep bacteria down and promote a longer life in the cut flowers. 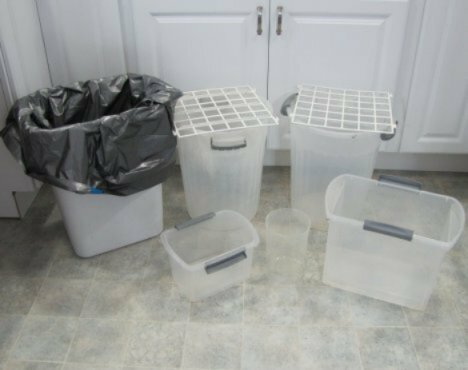 Once the buckets are dry, you can even add the water if convenient. (Note: if you need your flowers to open in a hurry, the water will need to be warm. If you have several days to allow them to open naturally, the water can be room temperature.) The buckets will be ready for you to add the flower food when it arrives with your order. Here are some general guidelines for figuring how much flower food you need. 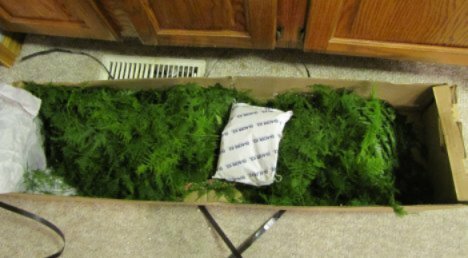 Keep in mind that some flower bunches (such as Oriental Lilies) are much larger than slender stems such as Liatris) and will obviously need more room to open. It gets hard to wrap your head around how much you need if you are using different sized containers. One of the easiest ways is to buy a one gallon pail. Then you simply put one scoop of powder per each pailful of water. 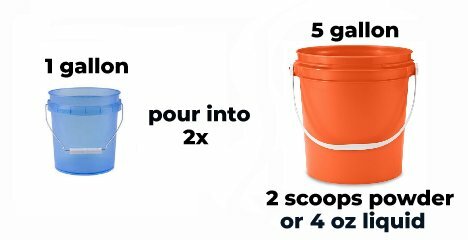 If you want two gallons in a five gallon bucket, then you need two scoops in the bottom of the large bucket and pour in two gallons and stir. You'll probably need an assortment of containers. Short stemmed roses fit in a short storage container while long stemmed gladiolus and snapdragons need 5 gallon buckets. If you are doing bouquet work you can cut your stems shorter and save on space if needed. 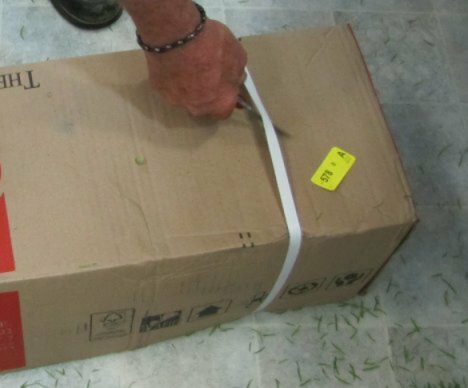 Again - track your shipment and be prepared to receive it and process the flowers immediately. Before the FedEx truck leaves, count the boxes (they are numbered "1 of 5", "2 of 5" etc.) Counting saves a big headache instead of having your deliveryman head merrily down the road with a box of flowers you need! Start processing IMMEDIATELY! 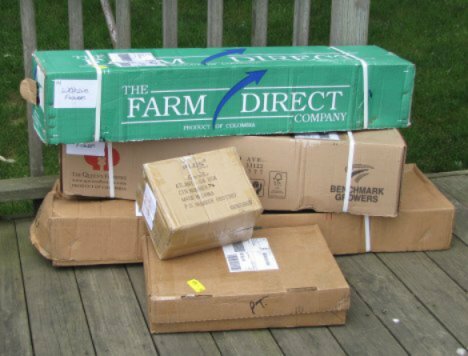 Don't let your flower boxes lay on a front porch in a hot sun while you're doing some last minute errands. These flowers have traveled a long way and need a long drink of water immediately upon arrival. Protect your floor surfaces if needed. Spread tarps, drop cloths or old sheets. FedEx boxes can be dirty (they've been sitting in a field warehouse before coming to you). Prepare! Prepare your florist tools ahead of time. You'll need a knife, bunch cutters, measuring tools, waterproof tape, and possibly a rose stripper. Flowers arrive in a "dry pack" stasis. This means the flowers are "asleep" and need to be woken up. They may look crumpled and even wilted - but they are just waiting to be processed so they can open up to their full glory. 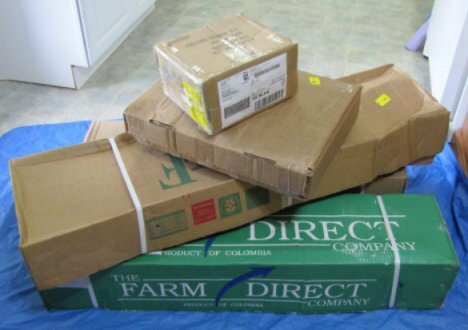 Carefully unpack all your products and compare what you received with your order sheet. Check off each product as you unpack it. 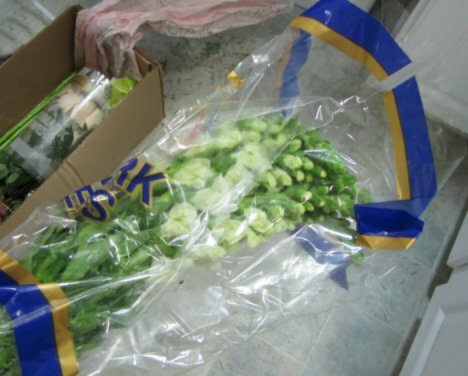 Flowers will be protected by either cellophane sleeves or rolled cardboard sheets. The boxes are thick and well insulated. You will find ice packs tucked here and there among the boxes. Save the ice packs and refreeze. They may come in handy to pack around your own delicate corsage or boutonniere work later. Carefully unwrap and shake out all crumpled paper. It's easy to miss a box of corsage pins if you aren't searching carefully. NOTE!! Don't pitch those boxes! You can use them for delivering your own arrangements in later.